Can formal and informal institutions be leveraged to build human capital? Uganda’s education system is plagued by low personnel morale, low engagement and high absenteeism (estimated at 27%) among teachers. We propose to transform state-mandated transfers of teachers between schools into a low-cost instrument to motivate teachers. We do this by leveraging the existing social structure as expressed in the location preferences of teachers. In partnership with a rural district in Eastern Uganda, researchers will undertake a randomized control trial to study whether rewarding top-performing primary school teachers with a future posting of their choice incentivizes teachers to improve their attendance and the quality of their teaching. There is widespread agreement that economic and private sector development depend on the level of human capital. Small-scale formal and informal institutions underlie the creation of human capital and thus directly link these institutions, private sector development and economic growth. 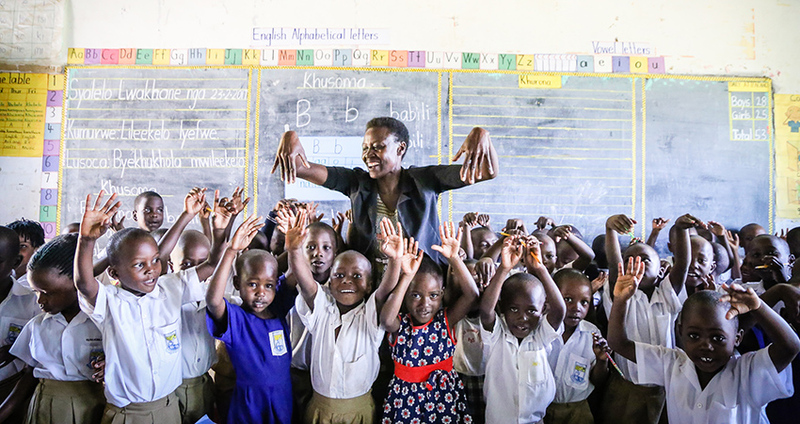 In Uganda, formal institutions demotivate teachers and contribute to low personnel morale and high absenteeism; informal institutions create and compound inequalities in access to public services. These have real consequences: only three out of ten Ugandan students can read and comprehend a simple story by grade three, and only eight out of ten can do so by grade seven (Uwezo, 2012). One challenging institutional feature is the use of undirected transfers of teachers between primary schools, mandated by the government to occur every five years. The government’s lack of consideration of teacher preferences, and the general lack of potential rewards for teachers who work in more remote areas mean that teachers at challenging schools tend to be the most demotivated, enhancing already existing social-structure-driven inequalities in access to education. We propose a simple and low-cost modification of the transfer mechanism. By rewarding high-performing teachers with their choice of future placement, we hope to improve teacher motivation, attendance and instruction, and ultimately student achievement. With this project, we intend to quantify to what extent a better-designed transfer mechanism can leverage preference heterogeneity to improve performance, and how this depends on group segregation. In the absence of a well-designed mechanism, preferences, when ignored, lead to demotivation, making the underlying social structure a problem. But those concentrated preferences, if used as a base for incentives, can build a low-cost motivation tool that would be absent, or at least weaker, without group-driven geographic preferences.